Haunted by the past… Sold Seduced, bedded and betrayed by Stefan Ziakas in a matter of days, Selene realises it’s not always better the devil you know… She’s sold her soul – and her heart – to the enemy! 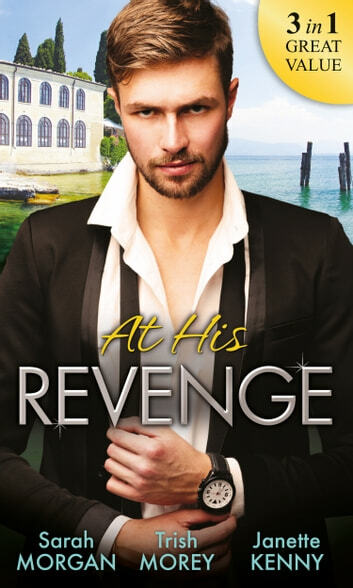 Innocent Luca Barbarigo has lain in wait for three long years, and is now ready to exact his revenge against Valentina Henderson. After one unforgettable night together she left him with nothing but X-rated memories and the sting of her hand across his jaw. Trusting Marco Vincienta has taken everything he could from Tate Industries – apart from the woman who nearly destroyed him. He needs her for one last thing. If Delanie wants her company back, she’ll have to do as he asks.